Mobile Device Manager Plus is innovative software that enables organizations to secure their mobile devices and data effortlessly. The organizations can manage multiple operating systems in a single space provided as mobile device manager software platform. The software comes with 360-degree enterprise mobility support and provides Seamless app distribution and management. With security management features embedded within the software, the solution provides foolproof security for corporate data. Take control of all the mobile devices in your network from a single console. Manage complete app lifecycle to enhance employee efficiency, while ensuring security. Keep your data and devices secure by enforcing security policies; remote lock and wipe lost or stolen devices. Provide a secure email platform for employees by syncing devices through Exchange ActiveSync and Office365. Remotely share documents to devices over the air. Securely save and view documents on the devices. Remotely view and control mobile devices. Solve device related issues in real time. Restrict your devices to run a single or a set of apps. 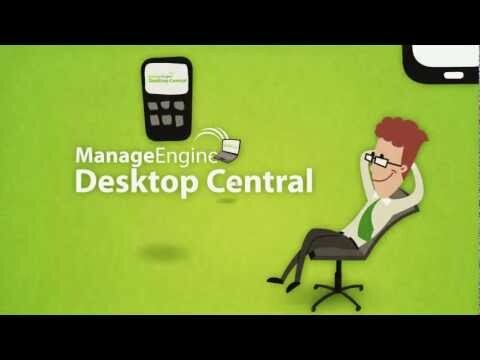 This video demonstrates the benefits of using Mobile Device Management with Desktop Central. Desktop Central MDM enables Profile Management, Policy Management, App Management, Security Management, Reports and more all from a central point. Q. How can we install apps in devices without user intervention? For installing apps without user intervention, we can make use of Volume Purchase Program (VPP) for iOS devices and for Android devices, make use of Play for Work (PfW). Q. How can I restrict the devices to connect only to one Wifi network? For restricting the devices to only one Wifi network, go to "profiles"- Create a wifi profile, to which you want the devices to connect to. Under Network and roaming, enable "connect to wi-fi only if distributed via MDM"
Q. Can we just manage the corporate applications without completely managing the users device? Q. In Kiosk Mode, will you still be able to swipe and go to "Settings"? If the device is locked to a single app, by default settings cannot be accessed. Similarly, in the case of locking the device to multiple apps, for Android devices the settings cannot be accessed. In the case of iOS devices, settings will be available and we can restrict the user from making changes to the device settings. Q. How to ensure silent installation of enterprise apps? 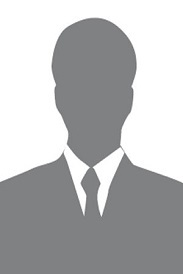 For silent installation of enterprise apps make sure- The iOS devices are supervised. The Android devices are provisioned as Device Owner. The distribution option, "Force Install VPP/Enterprise Apps" is enabled. I really like the features, functionality, ease of use and customer support. They have a lot of features, that is a MUST for my company. Both regarding tracking, management and the simplicity. I am having a problem with the App Distribution. Not all of my devices are installing the apps, I push to them. Even if it is a Force Install. And its always random, which devices doesn't get the app. Great and innovative. Perfect for Business. The interface presents all that is needed. Remote troubleshooting with ease when using Managed Engine. Registering our product is easy. I love the format. "Lock mode" is very good in helping us with missing Tablets. "Location" function helps us find our Tablets. Remote wipe works flawlessly. Blacklisting needs a bit of work. We received multiple e-mails "per APP" that was blacklisted. I suggest a single e-mail with the list of Blacklisted APPs.